After almost seven years of preparation, the moment finally arrived for Aegis Garden to celebrate its grand opening in February 2018. Located by beautiful Lake Boren in Newcastle, WA, just east of Seattle, Aegis Garden is the first Asian-focused assisted living community in the Pacific Northwest. It was designed to be more than just assisted living as “the cultural epicenter for Asian communities throughout the Northwest”, according to Aegis Living co-founder and CEO Dwayne Clark. Aegis couldn’t have picked a better site. The location holds a special meaning for the Chinese community. China Creek, named after a settlement camp for Chinese mine workers in the late 19th century, runs alongside the community. Clark says they were destined to build the community here. 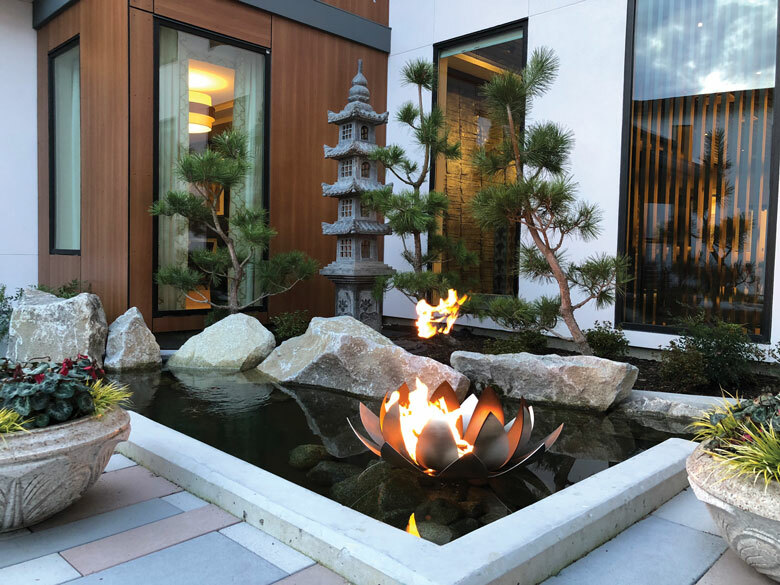 From architecture to décor, the designs of this $54 million award-winning community follow the principles of Feng Shui. Two Chinese lions stands on guard at the community entrance to ward off bad luck. The sweeping entry to the building includes an interior Zen garden and a pond with lotus flowers that reflect the laws of Karma. Most furniture and artifacts were purchased from China. To bring their residents unique cultural experience and joy, Aegis Garden provides a suite of amenities, including an outdoor amphitheater, swimming pool, spa, tea rooms, a huge banquet room for events and celebrations, family kitchen and private dining rooms, a culture center, a children’s preschool that provides intergenerational interactions, gaming and crafts rooms, a tournament ping-pong area, lecture and performance areas, a massage/acupuncture room, walking paths with exercise equipment along the way, and more. Aegis Garden’s love and care towards their residents is in full display throughout, in addition to 24-hour care provided by their professional and compassionate bilingual or multilingual staff. Waist-high “wall shelves” in the hallways—designed to be support railings while maintaining a sense of home rather than having the look and feel of a hospital or a nursing home, where metal bars are the norm. In memory care rooms, different colored toilet seat covers are used to help residents who have vision impairments. And there are lots of fun details that make you smile—the Mahjong room cleverly uses Mahjong tiles as the backsplash over the sink. Even though designed with Chinese focus in mind, Aegis Garden welcomes residents of all races who want to embrace and celebrate Asian culture, cuisine, and décor in a luxury environment.